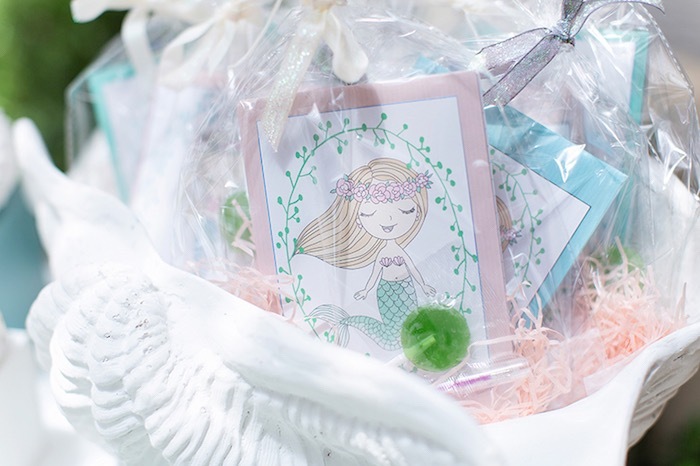 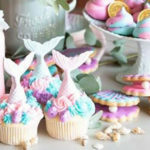 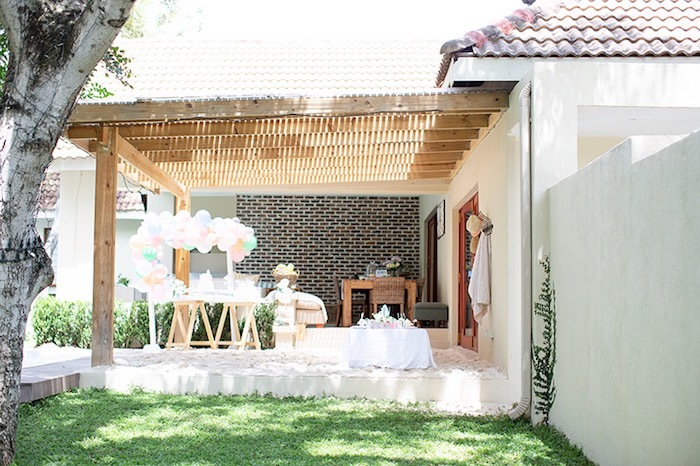 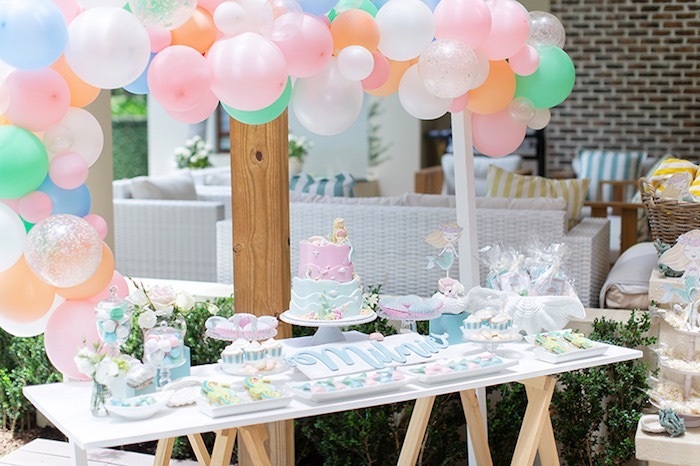 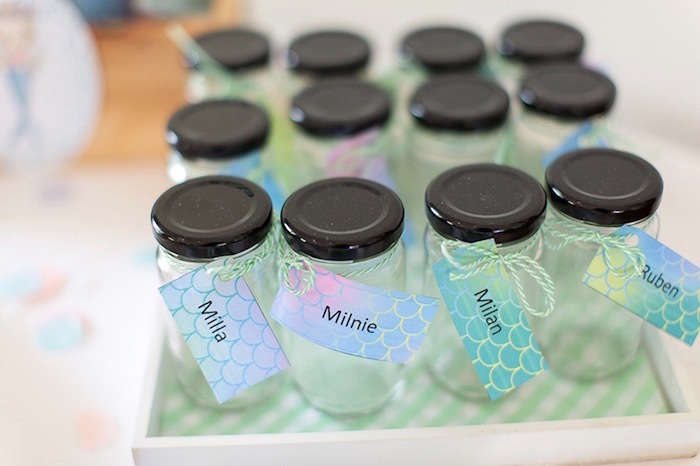 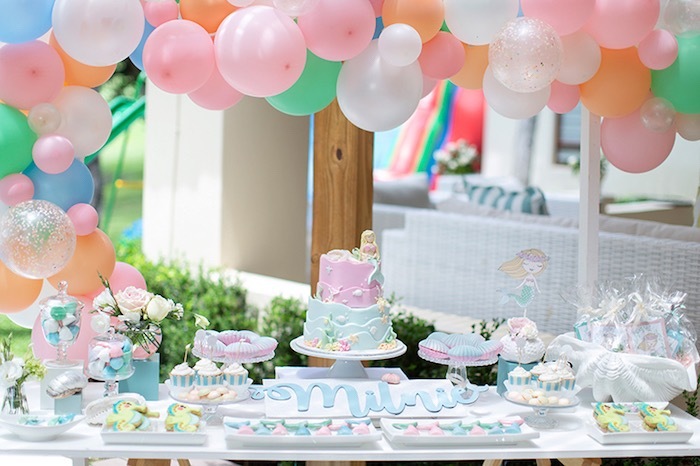 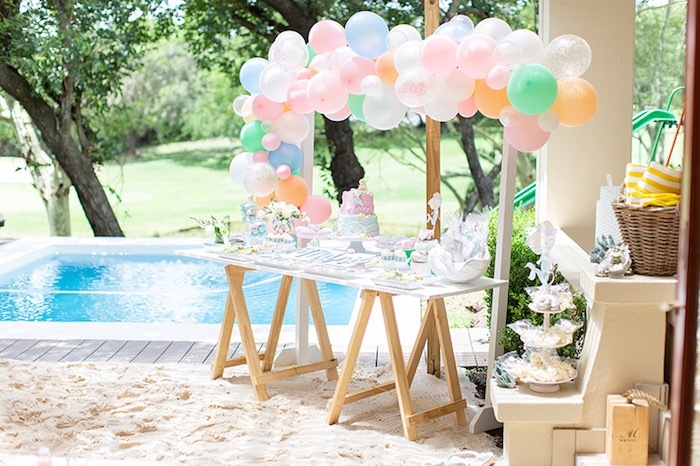 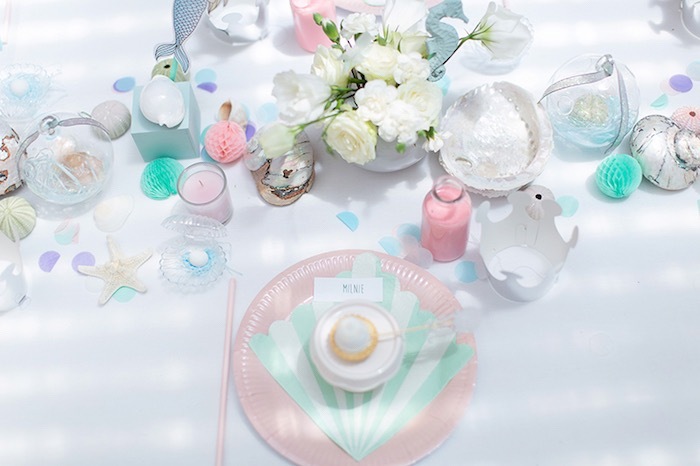 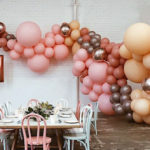 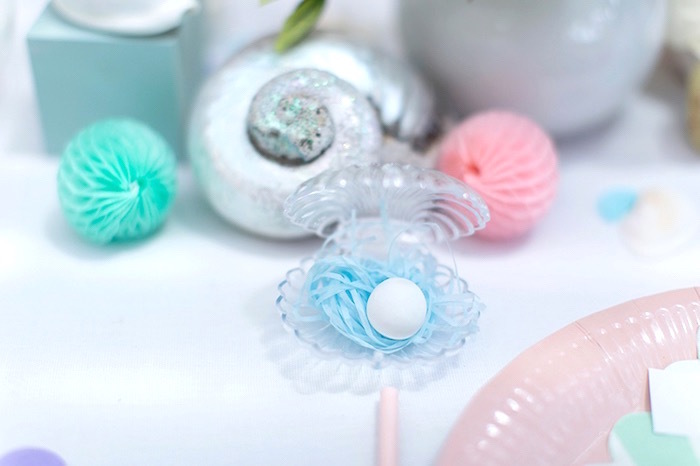 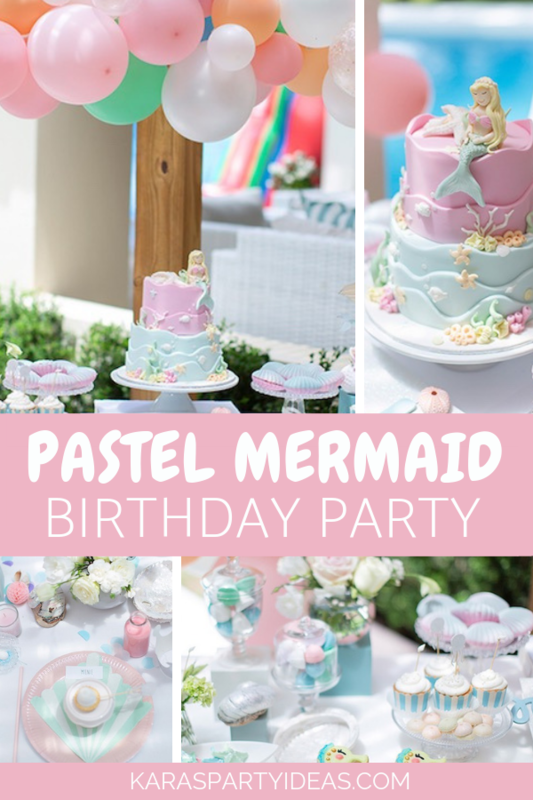 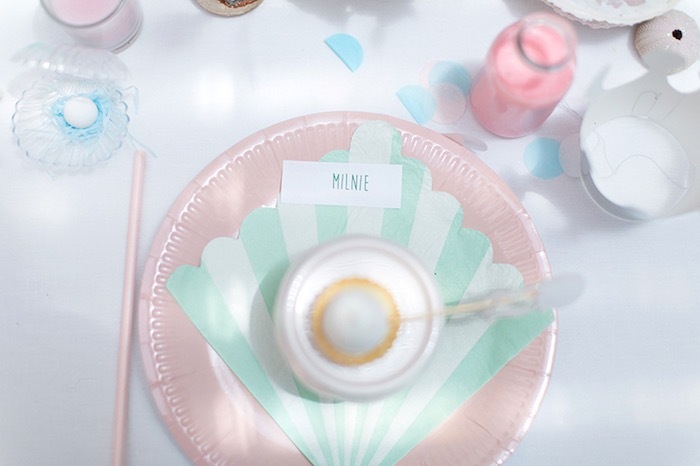 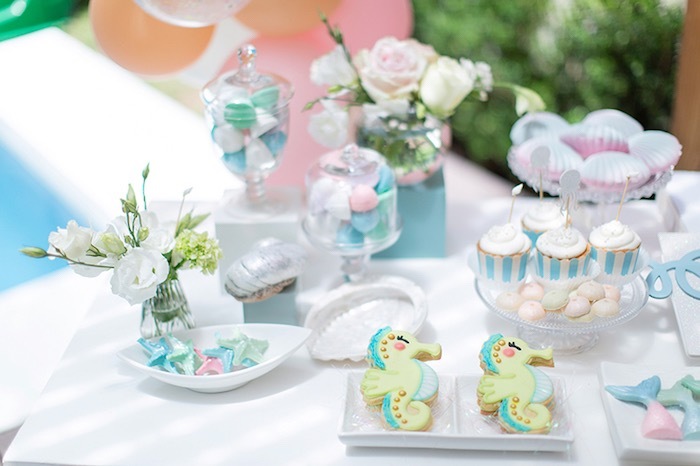 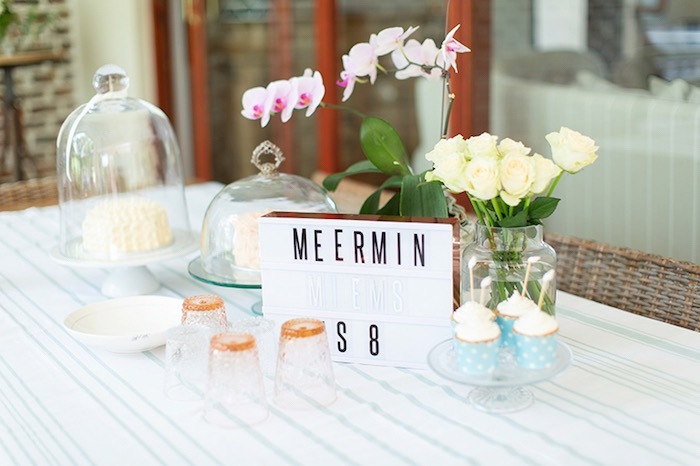 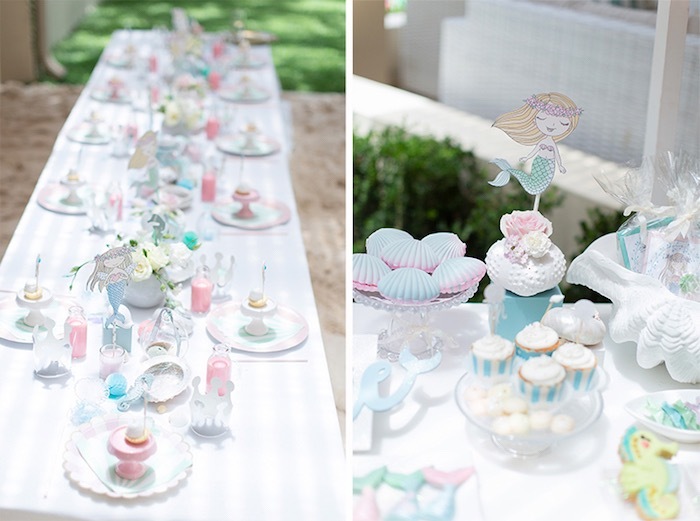 I’m swooning over this Pastel Mermaid Birthday Party by Yolandi Du Toit out of South Africa! 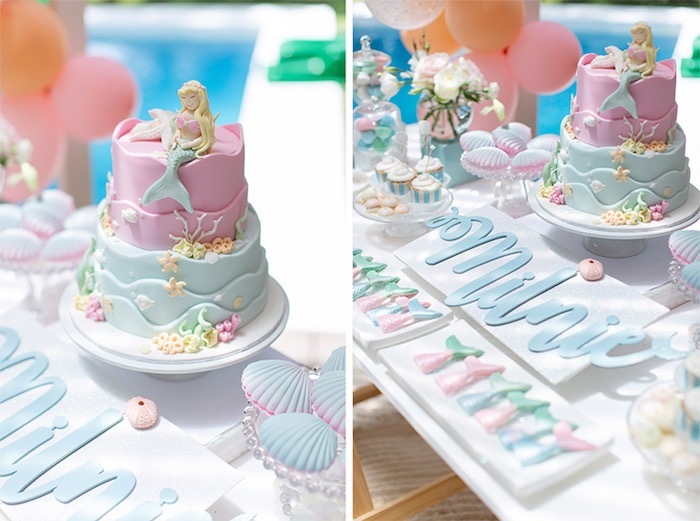 …From the adorable sweets to the under the sea decor, this birthday bash is full of things to adore! 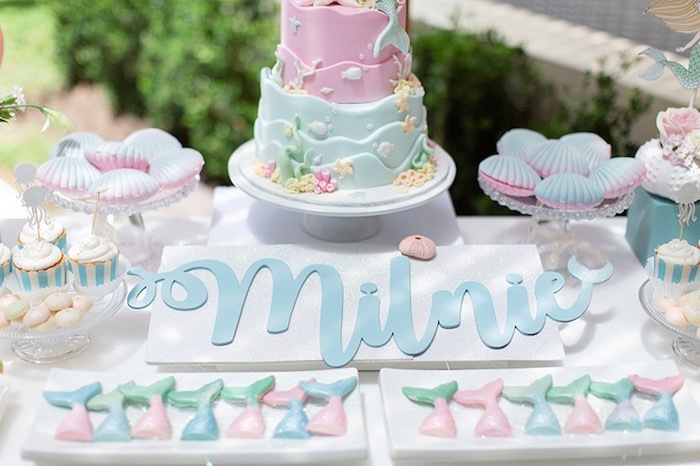 “Milnie, our sunny 8 year old, loves swimming and also loves the beach, she is still very innocent for her age and truly believe in Mermaids so that made the party more magical. 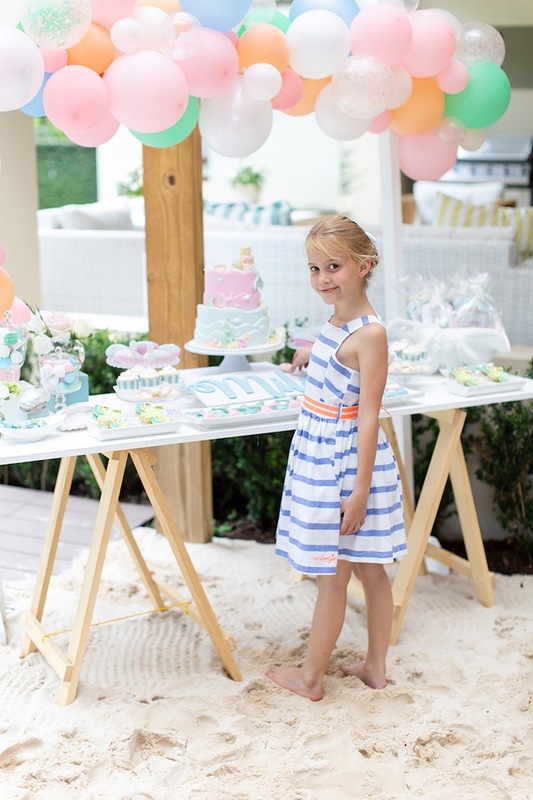 We love holidaying in the Western coast during Decembers and every shell that was used was handpicked by Milnie and her little brother during our afternoon strolls on the beach, we literally had hundreds to choose from. 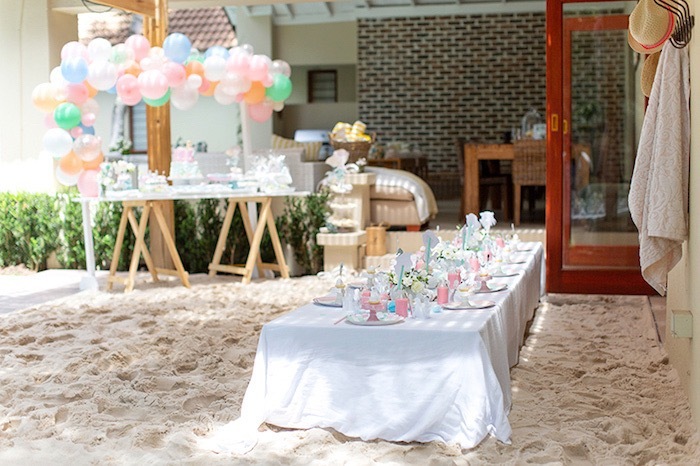 We live on a Golf course and my husband had just one little job and that was to borrow white sand from the Golf club and make a lovely pearly beach for us in front of the swimming pool. 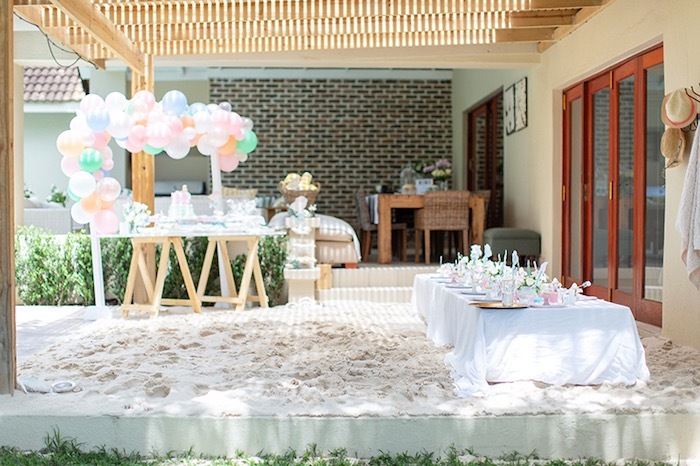 The kids went wild with excitement when the saw the beach. 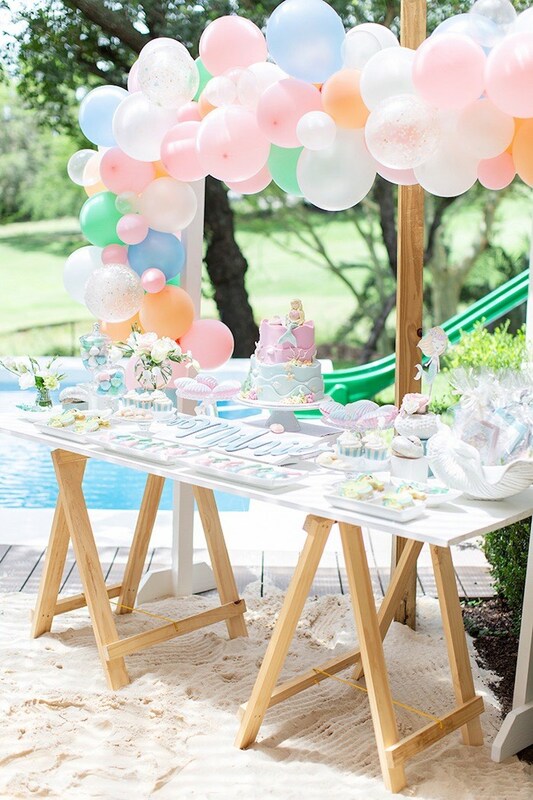 The party was hosted at our home in the backyard! 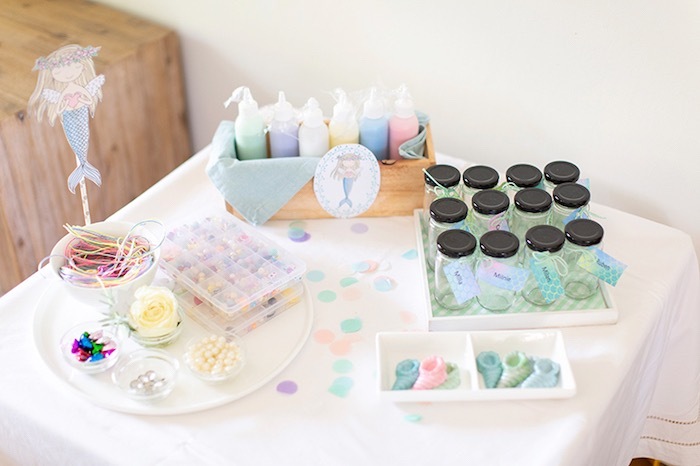 We had art stations where they could do sand art, decorate wooden jewelry boxes and made little sea shell bracelets. 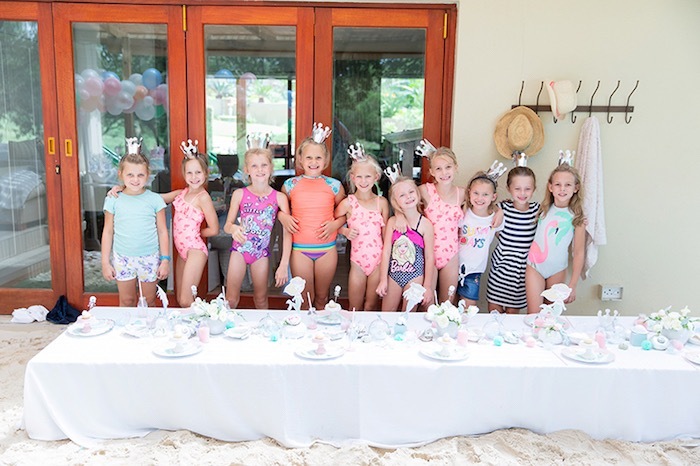 It was very hot and sunny so they enjoyed swimming and had a treasure hunt! 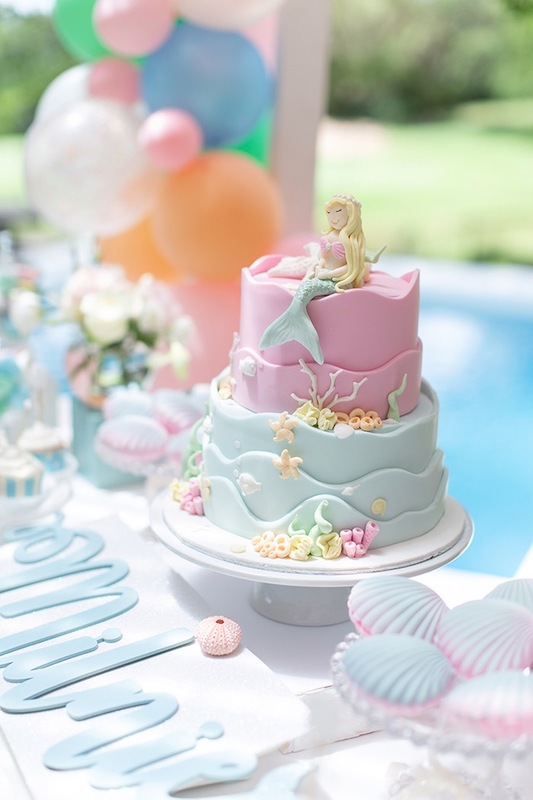 The cake was a vanilla cake. 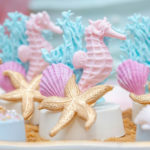 Milnie and I made the chocolate mermaid tails and shells ourselves, we only had 2 molds so it took us a view evenings of molding chocolate to make sure there was enough!! 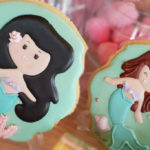 The mermaid artwork was hand drawn by Lizette Krumm, we struggled to find the right clip art, and Lizette suggested she will draw a mermaid inspired from an art work that we saw.